Have your forgotten your WiFi password? Or have you forgotten the key to your neighbor's Internet to that you usually use? 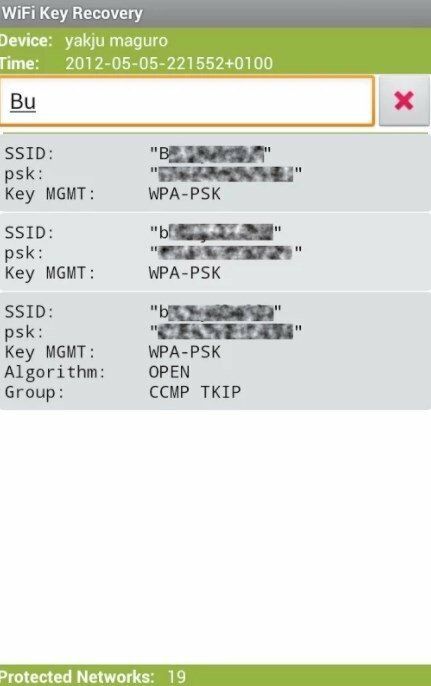 In any case, here goes an application that you can use to remember it and allow your Android smartphone or tablet connect to the corresponding WiFi to browse the Internet without any further complications. 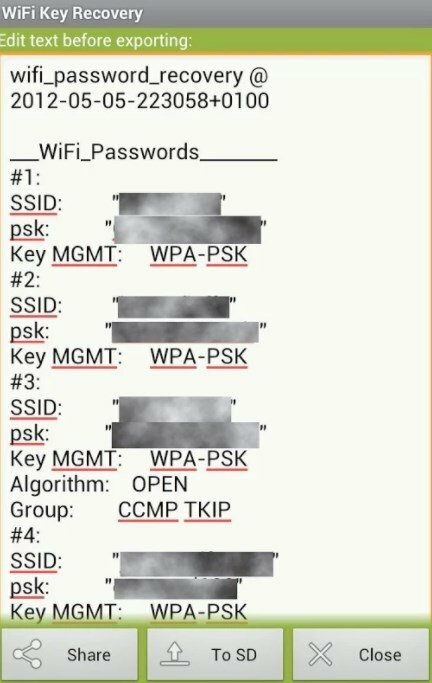 How to recover lost WiFi passwords? 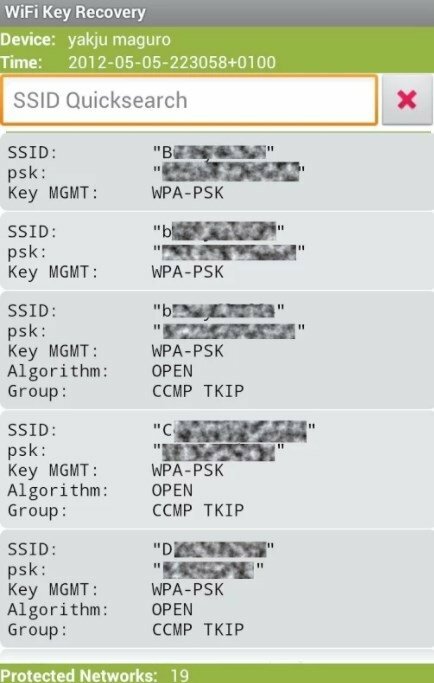 It's called WiFi Key Recovery, an application that will require you to root your smartphone. But not only will you have to be the root user: to protect its use for immoral activities such as breaking into private networks, this app only allows you to connect to WiFis that you've used in the past. How to use this key recovery tool isn't at all complicated. Just scan the networks detected by the device and choose which one you need to connect to. 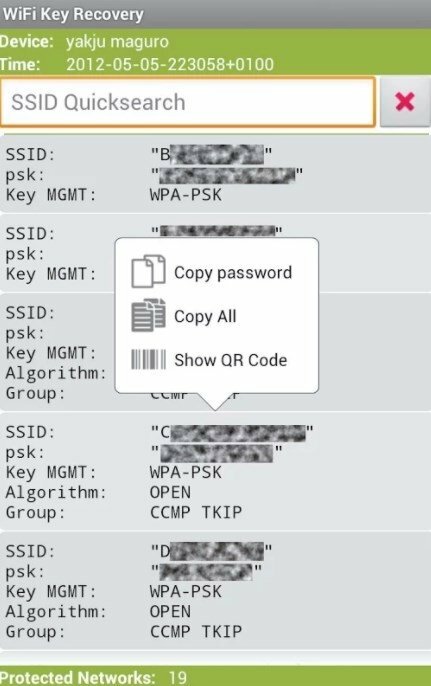 It will instantly generate a TXT document that you can export, showing the SSID or service identifier and its PSK o pre-shared key. Generate a TXT with the passwords and share it with other applications. All in all, if you've got a rooted Android smartphone and you need to recover a password that you forgot or lost, you can use this app. The APK runs perfectly on different phones and tablets, such as those made by HTC, Samsung, LG, Motorola, and Sony Xperia. The device must have previously been connected to the network the password of which we intend to recover.